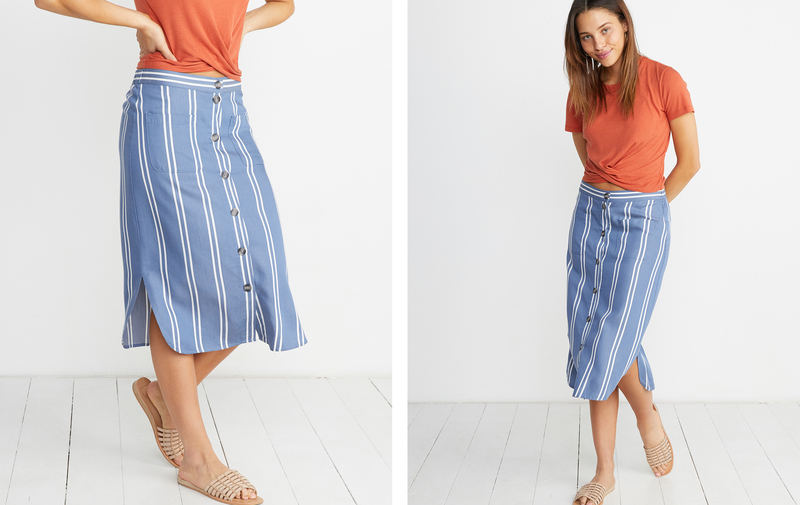 A modern spin on a vintage classic, this skirt is as laid-back as a pair of jeans but also fancy enough for the office. Featuring two front pockets, buttons up the front, and an elastic waistband (read: no uncomfortable squeeze). Also, it's made with 100% Tencel,® which makes it silky soft and eco-friendly. Heyo! 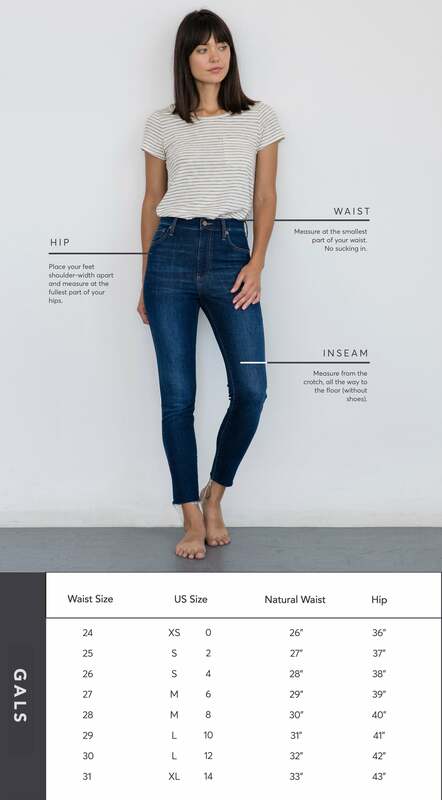 Featuring 100% Tencel® that's been sand-washed down for extra softness. It comes from wood and is produced using a closed loop manufacturing process, so it's eco-friendly. We use it for its flattering drape, durability, low-maintenance-ness, and as if we even needed to say it... absurd softness. Cameron is 5'8", wears an 2, is obsessed with Italian food, and probably went directly to North Beach after this shoot.